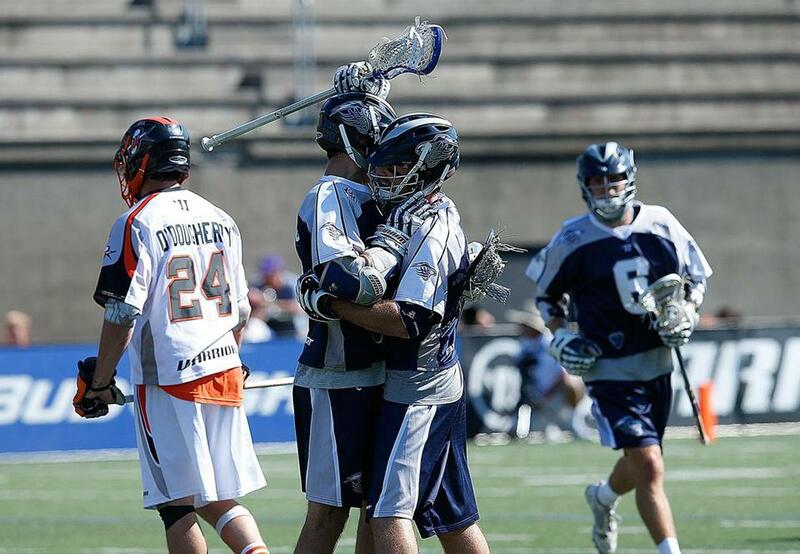 Major League Lacrosse will renew its rivalry with Team USA for the first time in four years this month, and the league announced Tuesday the 30 players who will represent MLL in the All-Star Game vs. the national team June 28 at Harvard Stadium. “We are thrilled to invite 30 of the best players in the world to represent MLL in this year’s All-Star Game,” said league commissioner Alexander Brown. “Not only will the best players in the world be on display, but this grudge match has historically proved to be one of the most exciting events our game has to offer. Prolific attackers Kevin Rice of the Atlanta Blaze and Will Manny of the New York Lizards headline the MLL roster. The Boston Cannons will have three representatives: attackman/midfielder Will Sands, midfielder Sergio Perkovic, and defenseman Brandon Mullins. Midfielder Joe Walters of the Lizards was selected to his ninth career All-Star Game. Walters led all scorers with three goals when the two sides last met in 2014, but Rob Pannell’s goal with seven seconds left in the fourth quarter lifted Team USA to a thrilling 10-9 victory. “It is an unreal feeling being named to my fourth straight MLL All-Star Game,” said Manny. “I remember four years ago I was at the game in Boston when Team USA won the one-goal game against the MLL All-Stars in front of more than 10,000 fans. The level of play and the passion on the field was impressive. Attack: Kevin Rice, Atlanta Blaze; Will Manny, New York Lizards; Chris Cloutier, Denver Outlaws; Kieran McArdle, Florida Launch; Eric Law, Denver Outlaws; Davey Emala, Ohio Machine; Ben Reeves, Dallas Rattlers; Justin Guterding, Ohio Machine; Will Sands, Boston Cannons. Midfield: Matt Abbott, Chesapeake Bayhawks; Connor Buczek, Florida Launch; Mike Chanenchuk, Charlotte Hounds; Zach Currier, Denver Outlaws; Isaiah Davis-Allen, Chesapeake Bayhawks; Kyle Harrison, Ohio Machine; Sergio Perkovic, Boston Cannons; Jeremy Sieverts, Denver Outlaws; Austin Sims, Atlanta Blaze; Joel Tinney, New York Lizards; Joe Walters, New York Lizards; Stephen Kelly, Chesapeake Bayhawks; Joe Nardella, Atlanta Blaze. Defense: Matt Dunn, Dallas Rattlers; Brian Karalunas, Ohio Machine; Matt Landis, New York Lizards; Michael Manley, Dallas Rattlers; Brandon Mullins, Boston Cannons; Scott Ratliff, Atlanta Blaze. Goalie: Kyle Bernlohr, Ohio Machine; Austin Kaut, Florida Launch.